Turn a single block into eight distinctive quilts—the magic is in the fabric! Best-selling author and well-known teacher Barbara H. Cline takes an easy-to-sew triangle block and then shows countless intricate designs for you to experiment with color and value. 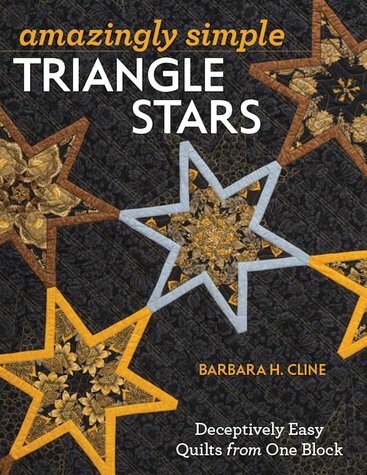 Stunning triangle-star quilts are perfect for the adventurous beginner looking to try something new or the intermediate quilter who wants to put her skills to use in a creative way. Design your own quilt top using a provided line drawing that you can color in and then bring to life with creative fabric selection.